One set of 7 assorted button. 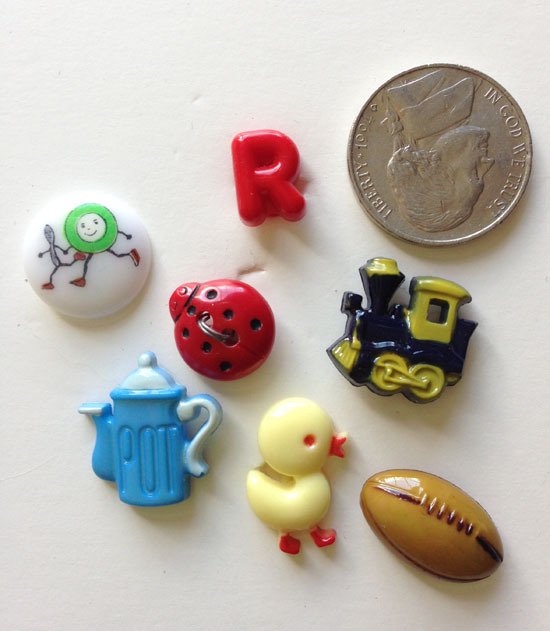 A little engine, tea pot, ladybug, letter R, yellow duckling, football and lastly the dish ran away with the spoon. All but the ladybug have a shank on the back. The ladybug has two little hole. The second picture shows a nickle for a size comparison.